With growing popularity of rideshare services, companies like Lyft vs. Uber are gradually edging out regular taxi services in major cities. Owing to the various benefits that customers get from these cab-on-call services, they are choosing them more than regular taxis. Selecting between these two rideshare giants can become difficult at times. Services of both the companies are almost similar with marginal differences here and there. As you read on until the end, you would be in a better position to compare between the two giants and make an informed choice while you book your next cab. Is Lyft cheaper than Uber? This is a common query. With similar services offered by both the cab companies, it is mostly the price that serves as the differentiator between the two. Generally, there is not much difference in the prices of the services of these titans as well. On an average, the ride cost for both companies is about $2 per mile. However, there are many options of rides where the price difference is slightly different. When it comes to offering low-cost rides to their passengers, both Uber and Lyft have a couple of options. For passengers who are okay with sharing their ride with others, Uber has UberPOOL and Lyft has the Lyft Line option. Both the options cost about 20%-50% less than standard rides like UberX or Standard Lyft rides. However, the pricing of Lyft Line is fairly simple as they quote a price at the beginning of the trip, and regardless of the number of passengers or the traffic, the price remains pretty much same. This has a fairly complex method of calculating the cost of the shared ride, and it shows an approximate price range to the passenger. As per voice of customers, Lyft Line is comparatively cheaper than UberPOOL. Standard car options like UberX for Uber and Standard cars for Lyft have similar fare calculations. The ride price is a sum total of the base fare, cost per minute, and cost per mile, service fees and other fees. For Lyft, the base price is $0, the cost per minute is $0.16, cost per mile is $0.88 and the service fee is $1.8. For UberX, the base fare is $0 (similar to Lyft), cost per minute is $0.15, cost per mile is $0.90 and the service fee is $1.65. Both the services have this, which is $3.5 for Lyft and $5.15 for UberX, which the customer has to pay on boarding the cab even if the total of the components do not add up to that much. The price rates for luxury options of Lyft vs. Uber are also similar. While the prices vary from city to city, but if compared between the two there is not much difference in the overall fare for the luxury services of these two titans in the world of rideshare services. As per the L.A. rates, the luxury options for Lyft, i.e., Lyft Premier has a base charge of $5.0, cost per minute of $0.39, cost per mile of $2.39 and a service fee of $1.8. UberSelect, their basic luxury option has a base fare of $5.0, cost per minute of $0.40, cost per mile of $2.35 and a booking fee of $1.65. The minimum fare for UberSelect is $10.65, and that for Lyft Premier is $9. Looking at the price comparison, it is evident that for short rides, where the sum total may not cross the minimum fare, taking Lyft is a cheaper option as compared to Uber. However, for standard or longer rides, there is not much price difference between the two. To attract new customers, all rideshare companies give out promo codes, which slashes the ride fares drastically. These first-time user promo codes are really beneficial as they offer free rides up to certain limit. Lyft outshines its competitor in terms of offering savings to the new users, as the code RYDER for Lyft saves $50 for new users, against the $15 savings for Uber users with promo code RIDESHARE. Pro Tip: Our suggestion is to try both Lyft vs. Uber with their new user promo codes. That way, you can try both for free (or at a major discount) and decide which you like more! Just be sure to use them shortly after entering them into your account, because the expiration dates aren’t very long. It is not the new users only who can save money by using promo codes. Both Uber and Lyft have referral programs for their customers, by means of which they can get individual referral codes that can be used to enjoy free rides up to a certain amount. The application of these customer codes not only offers free rides to existing customers but also offers discounted rides to new customers as well. While the free ride value amount varies by the city, Uber’s standard referral reward for passengers is $20 and that for Lyft is $10. Uber seems to have a winning edge over Lyft when it comes to utilizing existing customers to lure new ones. Any rideshare provider will face the need to cater to the different types of needs of their customers. Hence another difference between Lyft vs. Uber. Each has multiple options available for different price points and quality levels. So the answer of which is better really depends on what you’re looking for in a ride. These options start with basic services with a 4-door car and range up to luxury services that involve premium cars like Limousine or BMW. 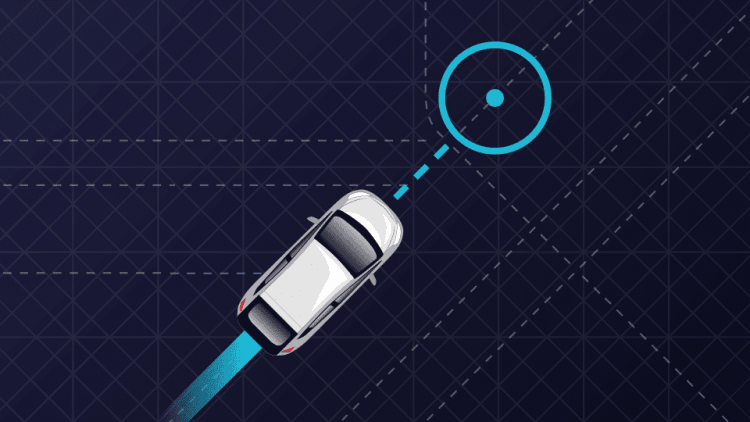 UberX – The most common and cheapest ride option of Uber. The cars can accommodate 4 passengers and are usually models from 2001 or newer. UberXL – Priced higher than UberX and offers cars with a seating capacity of 6 passengers. Usually, SUVs and minivans are used for this option. UberSelect – Premium 4-seater sedans from Mercedes, Audi or BMW are used for these cars, and the service is almost double the cost of UberX. With leather interiors and well-behaved drivers, UberSelect is the luxury ride option of Uber. UberBlack – This is the executive car service from Uber, which has a black car with black leather interiors priced almost 50% higher than UberSelect cars. Uber SUV – if UberXL is the inexpensive SUV service of Uber, UberSUV is the executive version of it. What UberXL is to UberX, UberSUV is to UberBlack. This option, which is the most expensive one from Uber, has black SUVs with black and ultra chic interiors are meant for those who prefer world class cars for their travel. Although it may not have that many options as Uber, but Lyft also has various ride options for its customers. Lyft – This is the lowest cost option from Lyft that has cars with a seating capacity of 4 passengers. No extravagance is to be expected with the basic Lyft service. Lyft Plus – ideal for large groups, this option offers cars with 6 or more passengers. The prices are almost double than Lyft cars. Lyft Premier – Luxury sedan cars with a seating capacity of 4 people. This service is not available in all states currently. The services of these rivals are not limited to catering to single parties. They cater to the business needs of corporate and large organizations as well. While Uber has Uber for Business to offer transport solutions to business houses, Lyft has mobility solutions that offers affordable rides to workers of thousands of organizations who travel to different office locations or to different events. While Lyft does not have any specific program for events, Uber has UberEVENTS, with which it empowers event planners to offer free or discounted rides to their guests. This service is covered by their mobility solutions program. With similar prices and somewhat similar product range, there is hardly any difference between Lyft vs. Uber in the big picture. However, there is a major difference that could prove to be pivotal in determining the quality of service, tenure of the drivers and their approach towards their work. We are talking about the culture at the two companies. Uber follows a culture where the drivers would be serving the customers as chauffeurs and treat their roles as a serious career option. They foster highest limits of professionalism and expect their drivers to behave professionally with their customers. 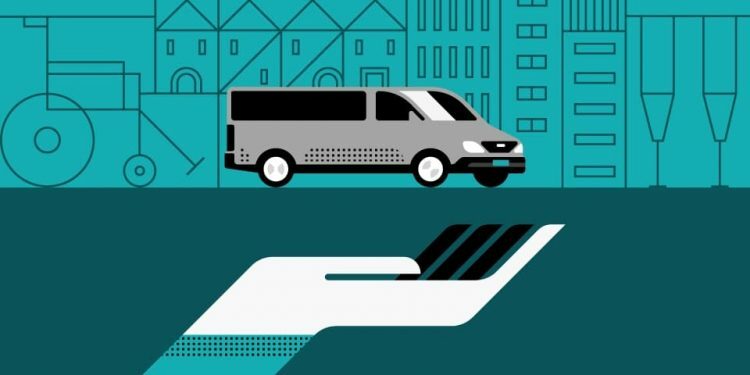 While riding an Uber, you can expect the driver to greet you with an open door and even help you with the luggage. People like this executive approach. However, when it comes to appreciating the hard work of drivers, Uber is not the best bet in the market. While it has a power driver bonus program, the company is not known as being too appreciative about the hand work put up by its drivers and employees. If Uber’s work culture is to drive professionalism and etiquette-driven services, Lyft focuses more on uniqueness. As Uber competitors, they must stand out. All they expect is a clean car that gets driven by a well-behaved driver who would love to have fun at his work behind the wheels. With Lyft, you can expect far more cheerful and lively drivers as the company culture is like that. Although they govern their drivers by means of terms and conditions, the military discipline is something that Lyft believes as a company. This is a competitive advantage, actually, as many of their customers like this friendly, more casual experience versus a more stuffy one. The difference between Lyft vs. Uber pricing is slight. But when it comes to coverage area, Uber has a clear hand over Lyft, who does not have as much of an international presence as like Uber. Spread across 60 countries, Uber clearly outshines its counterpart Lyft in terms of coverage area, as the latter has its presence in only six countries outside the United States of America. If you’re wondering whether or not they operate in your city, you can check on their website. In the United States, Uber has a presence in 244 cities, whereas Lyft has a presence in 246 cities, which is spread across 37 states. Although Lyft has a similar coverage within the United States, when it comes to foreign expansions, there is no comparison. Spread across 60 countries, Uber caters to as many as 305 cities worldwide, taking the total tally of cities to 549. Uber has its presence in all the 5 continents, catering to 88 cities in Europe, 13 in the Middle East, 14 in Africa, 74 in Central and South America, 18 in Australia and New Zealand, and 98 cities in Asia (37 in China alone). They have been able to spread its services to only 6 international countries catering to 9 cities from these six countries. The countries where Lyft has its services are Indonesia, Singapore, The Philippines, Malaysia, Thailand and Vietnam. 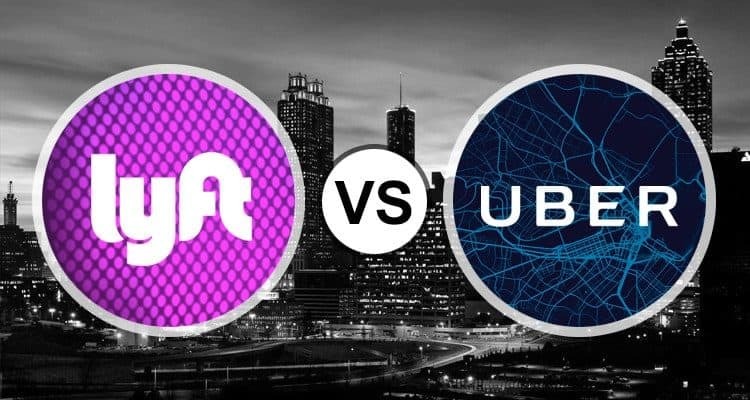 Now that you have learned about the price differences (or similarities), work culture differences and coverage areas, you may be thinking about the difference in the levels of support that are provided by Lyft vs. Uber to their passengers and drivers. As a customer, you are never away from a customer service rep of Lyft. Lyft has a dedicated phone support and email support system for their customers who can call for lodging a complaint, or just for making a general inquiry. In terms of providing customer support, Lyft has the edge. While the phone support is dedicated only for safety-related assistance, there is no dearth of customer support options with Uber as well. It has dedicated email and live chat support which is available 24×7. In terms of quality of support, both competitors ensure that there is minimum scope left for the customers to go unsatisfied after contacting any of the customer support channels. When it comes to providing support to the drivers, Lyft is possibly one notch up as compared to Uber. Right from the application stage, Lyft starts handholding their drivers with the Lyft mentors who make the new drivers undergo the various rules and regulations of Lyft. Even for existing drivers, the company has an emergency assistance helpline, which is accessible by both the driver and the passengers. They’re not too far behind when it comes to providing support to their drivers. There are local Uber support teams available in major cities, where the drivers can resolve questions and concerns. For real-time assistance, like Lyft, Uber also has the safety assistance helpline dedicated only for emergency cases. Many community forums are available for both platforms. There are generic as well as city specific driver support groups on Facebook or other social media platforms like Twitter. Several websites are dedicated toward supporting drivers who drive with Lyft or Uber. When it comes to driver’s earnings Lyft claims that their drivers can earn as much as $35 per hour. Uber is also not far behind as they claim that their drivers can earn about $30-$35 per hour. These figures are a little exaggerated as commonly drivers do not earn that much in real life. It depends on a lot of factors, such as your city. While discussing average salary, the first thing to mention here is that drivers’ average income varies largely by the city. While the average income of an Uber driver in New York would be $30 per hour, the same for a small town driver would be nothing more than $15-$18. On average, the income of an Uber driver is about $19/hr. They do not earn quite as much as Uber drivers do. Speaking in terms of hourly wages, anyways. Although Lyft advertises that their drivers can earn $35 per hour, in reality, they do not earn quite so much on average. However, drivers with Lyft have the opportunity to earn tips from their passengers, which is not there in Uber. Hence, although the average income of Lyft drivers from rides would be less than Uber, they would actually match the income of Uber drivers with the tips that they would be able to manage out of their passengers. Also, both the companies ensure that they provide minimum earning guarantee to their drivers. Lyft is a better choice here as it gives an hourly as well as a weekly guarantee to its drivers. 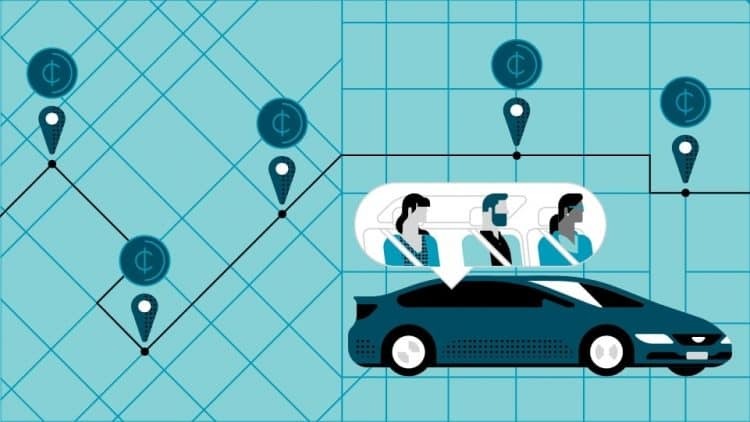 Uber, on the other hand, gives an hourly guarantee to its drivers, wherein if the driver is not able to meet a minimum amount of revenue in an hour, he would still get the minimum guarantee amount from Uber or Lyft, provided he meets certain riders. Thinking about whether to work for Uber or Lyft? Both of these giants of the ridesharing market are pretty thoughtful when it comes to the welfare of their drivers. To ensure that they lure more drivers and retain the existing ones, both the companies have their own set of additional perks for their drivers. Uber provides their drivers huge discounts on fuel as well as discounts of up to 15% on various car maintenance activities like new tires or oil changes at selected service stations through their fuel card program. Free music for drivers through the official Uber app so that they can keep themselves entertained on and off of a trip. With their ‘Accelerate’ reward program, Lyft offers a long list of perks to its drivers as well. Unparalleled and discounted tax support through Intuit. Drivers, who have given at least 20 rides per month, will have access to the following perks in addition to the ones mentioned above. Gym memberships, screen repairs, and many more perks await the drivers who qualify for the gold status with 20 rides or more in a month. Those who have done 200 rides in a month get Platinum status in the Accelerate program and are entitled to free roadside assistance from Allstate Roadside services, free of cost. Pro Tip: For drivers, if you’re able to, we’d suggest applying to drive for both Uber and Lyft! That way, you can take advantage of what makes each of them unique. Their requirements are quite similar, and the application isn’t too exhaustive, so doubling up isn’t much extra work. Plus, then you can gain access to great perks offered by each. In terms of perks, Lyft has certainly got an upper hand over Uber. The same is the case for referrals as well. Lyft drivers can earn referral bonuses of $10 for referring a new passenger and as much as $5000 for referring a new driver provided the new drivers meets certain requirements. Uber, on the other hand, is not as generous as Lyft while giving away referral bonuses. 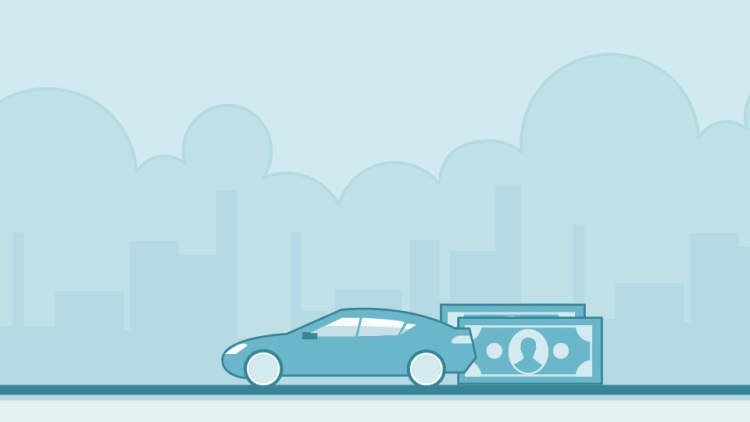 For every passenger referral, the driver earns a bonus of $5. For every driver referral; the existing driver earns a bonus in the range of $25 to $400, which is definitely way less than the top margin of referral bonus as offered by Lyft. Like other things, the driver referral bonuses also depend on the city to great extent. You certainly cannot expect to earn 5000 bucks for referring someone in Boise or Omaha. As rideshare services are wholly dependent on mobile phones, it is evident that any rideshare company would invest a lot on making their apps as user-friendly. Lyft and Uber are no exceptions. It’s also worth noting that apps like Uber or Lyft are continually receiving updates and redesigns, so ‘who has the better app?’ is a debate that is always changing. The apps developed more or less at the same time, and it is certain that they both do an equally good job when it comes to connecting the passenger to the driver. Both have been redesigned, too. However, what people like more about Uber app is its ability to give a better ride fare estimate, which is not that accurate in Lyft. Also, the Uber app does not allow the customers to tip the drivers. The Lyft app, on the other hand, reminds the customer that whether he would want to tip the driver or not. If yes, the app also prompts the customer on the amount denominations which is $1, $2, $5 or any amount as per the will of the passenger. The user interface for the Uber app and the Lyft app for drivers is almost identical. Both apps have the option to see the areas with surge pricing (for Uber) and Prime Time (for Lyft). Both apps allow the driver to view, accept and reject rides with the tap of a finger. They both focus on simplicity. Uber drivers can access the Uber app with an iPhone supplied at a weekly rate of $10. They are not supposed to download or use any non-Uber app on that phone. Although the features of the two apps are almost equal, users prefer the Lyft app more because of its clean interface and high levels of user-friendliness. Uber had started its U.S. operations in March of 2009, and Lyft had done so in 2012. It is obvious that Uber has the advantage of being in the industry for 3 years more than Lyft, which is why their spread is much more than Lyft. When it comes to matters of being popular, Lyft certainly gives a stiff competition to Uber. Although it started its journey late, Lyft still has over 100,000 drivers as compared to 160,000 drivers of Uber. In terms of the number of rides, Uber gets roughly a million per day. Lyft gets approximately 600,000 rides a day. The above figures may look less as compared to Uber. It is worth noting that Lyft has been able to register a growth of 12% monthly increase in the number of rides consistently for the last two financial quarters. At this rate, within a year, Lyft would surpass the popularity of Uber. Unless of course, the market leader does something to revitalize its importance in the minds of the customers. Lyft has plans to double its revenue in the next one year. Even with that, their projected revenues are just one-eighth of their arch-rivals’ projected revenues in the field of rideshare services. Apart from monetary aspects, Lyft and Uber both have an eye on the future and have plans to go more hi-tech in near future. While Uber had shown the path of innovation with the UberPOOL services, Lyft was thoughtful enough to allow passengers to tip their customers. Let’s take a quick look at the future vision of these companies. Soon the days will be gone when you would be stuck in traffic while using Uber services. With the pioneer UberCHOPPER services, users can now take to the skies by requesting helicopter rides. The CEO of Uber, Travis Kalanick has visions of deploying driverless cars that will slash the expenses of the company by half of what it is currently. Lyft is not far behind in innovation. They have the vision of not only launching self-driven cars but to dominate the market by 2021. There are clear visions regarding the driverless future for them as well. They plan to go totally autonomous by the next 10 years. Lyft’s CEO John Zimmer predicts this is when the third revolution of transportation will happen. Uber is not done with their fundraising spree. Recently it has received a fund of $3.5 billion from Saudi Public Investment Funds. Lyft has been busy too. They have gotten into a long-term relationship with GM with an investment value of a whopping $1 billion! 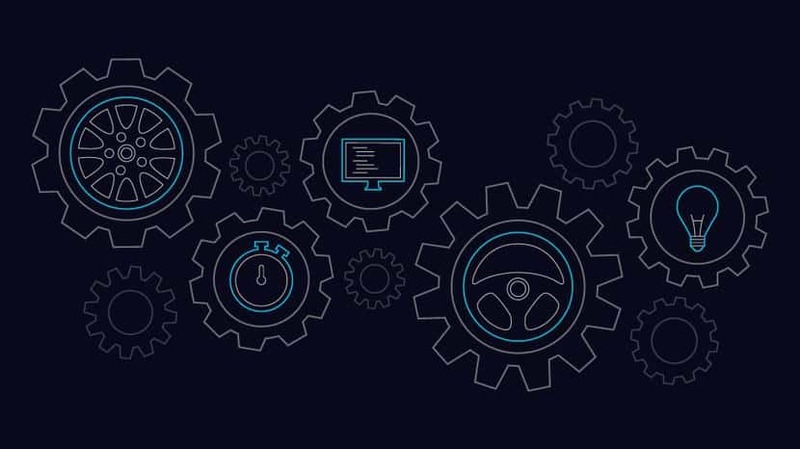 The investment is primarily for the driverless car project in which the companies have partnered. Last year May had seen Apple investing $1 billion on Lyft. This had given birth to speculations that it would soon lead to iPhone integration with Lyft’s networks. If you were to ask any common man who has used both, he may find it difficult to answer. Or maybe everyone has an opinion. 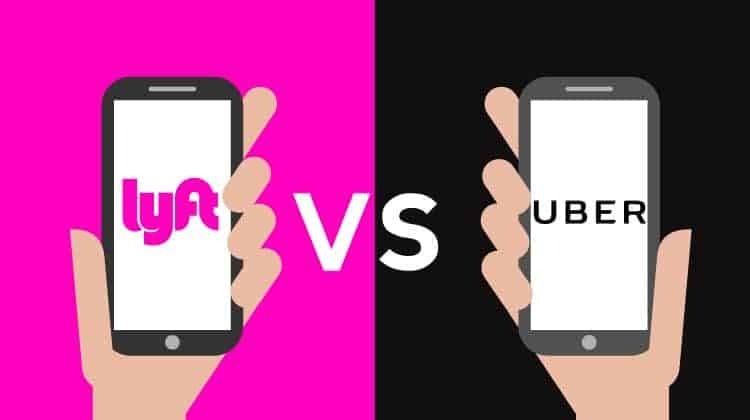 In terms of cost both are almost equal, (Uber being slightly cheaper than Lyft), in terms of services these two are almost neck-to-neck again. In the battle of Uber vs. Lyft, it is really difficult to determine who is safer. Lyft and Uber are very particular about the safety factors. And safety continues to improve. As a result, these companies conduct thorough background checks of their drivers before approving them to a driver under the banner of the company. However, that does not guarantee 100% safety for the passengers. Stray incidents keep on getting reported where passengers have been assaulted by the drivers. And in terms of the number of complaints against the driver? Uber is less safe than Lyft; however, you would also have to factor in the fact that Uber’s daily ride is 60% more than that of Lyft’s. Lyft even has a whole web page dedicated to safety! The tagline of the companies says pretty much about the ethics that they follow. Lyft’s tagline “Your friend with car” shows a free culture without too much discipline and both passengers and drivers enjoy their ride. Uber, on the other hand, has the tagline ‘Everyone’s private driver’. They may want to harp on being professional with this tagline. Their principle of considering drivers as contractors and not employees certainly takes a few points away on grounds of being not as ethical as you would expect them to be, though. There have been several lawsuits filed against Uber. Drivers have claimed that they should be recognized as employees and not contractors of Uber. Although in terms of revenues or dominance, Lyft is just about 1/8th of Uber, but it is certain that Uber is not the clear winner in the Lyft vs. Uber battle. If Uber is better at being more prone to technology, Lyft is far more rewarding to its drivers. Hence, finding a clear winner of this Lyft vs. Uber duel is not possible. Both the companies are working towards a futuristic vision and delivering affordable transport solution to private as well as business entities.